Photo: a photo montage of the University and the classroom of students who received 16h of digital-painting lessons. I'm in the center. 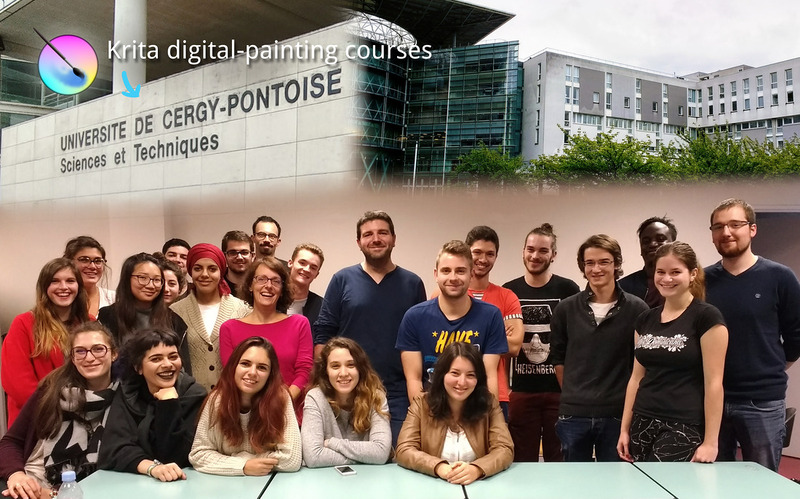 This week, I traveled to Paris to teach courses of digital-painting with the open-source software Krita at the University Cergy-Pontoise. The course was organised by Nicolas Priniotakis. 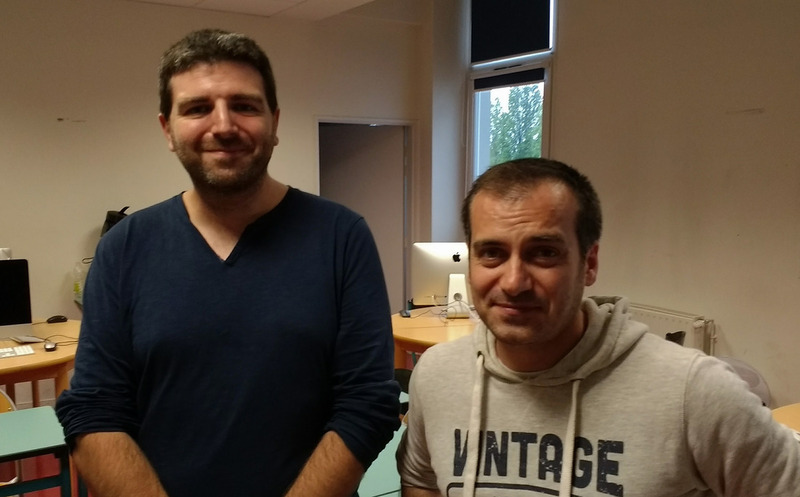 Since years, Nicolas already taught his courses at university with open-sources software, mainly courses of 3D with Blender. But it was the first time Krita was introduced into his department. So, Krita has a good future in education ? Oh yes, I believe so! All in all the experience was very positive; I met two very attentive classroom of students who never ran Krita before. After a couple of hours, every one was able to paint, draw and focus on the work itself more than on the tool. Of course, Krita 3.2.1 ran like a charm on the classroom powered with workstation running the libre GNU/Linux operating system Manjaro with the KDE plasma5 desktop (we even could install via AUR the kcm-wacomtablet-frameworks-git package to configure the tablet with an interface). In the other class, equipped only with Apple Mac Osx hardware and system, Krita was a little bit more fragile and exposed to display bugs; but nothing too dramatic and everyone could get the work done. 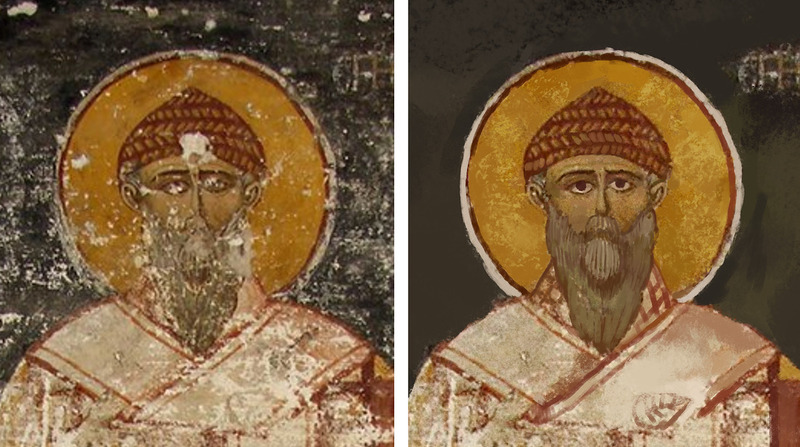 Result of one demo in class and an exercise: The digital renovation of a fresco of Saint-Sernin. An exercise designed for my classroom specialized in scientific communication (archaeology, robotics, biology, astronomy, physics, etc.). So they can fix 2D textures when they'll recreate 3D digital renovation of ancient buildings. Quick prototype session; character design with the symmetry tool for the second classroom where students have a stronger focus on digital-art, creation and medias/entertainement. 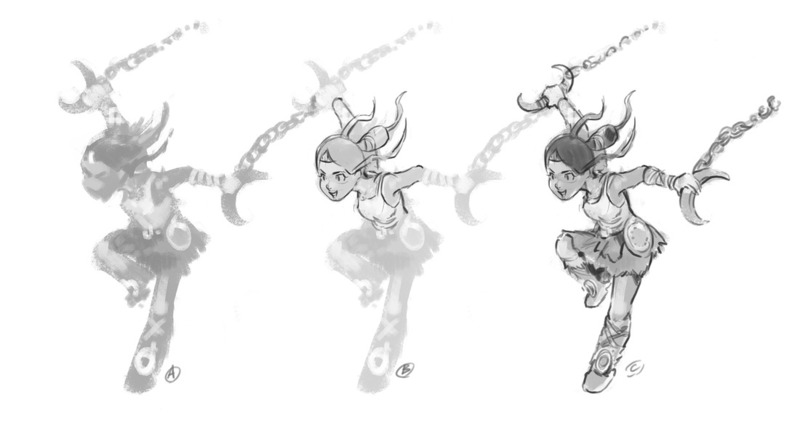 Development of a posed character: initial rough with silhouette and draw over . Speed-painting done in classroom . We also made a similar exercise for landscape design, perspective, grey-scale values and composition. The lead teacher and Blender artist Nicolas Priniotakis who invited me to teach for his classroom. Thanks again to all the students and teachers for the warm welcome! That is awesome! I hope Krita became a popular software at universities soon. Thank you very much ! 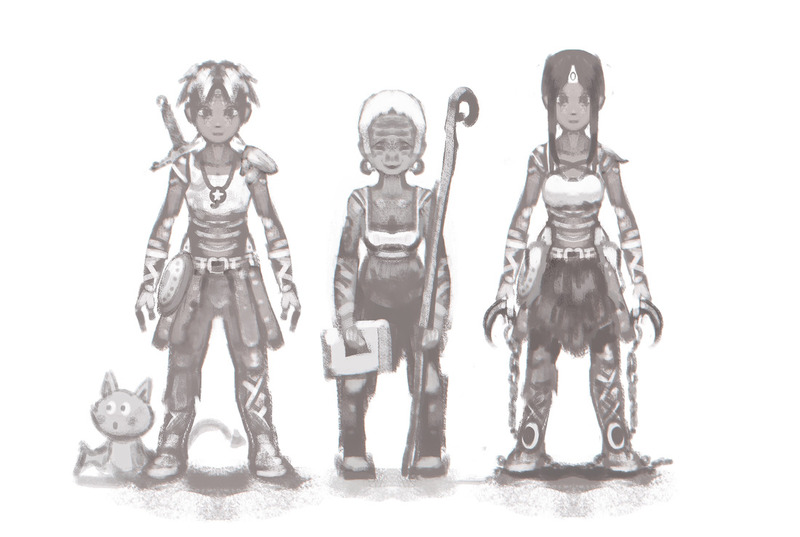 Your courses were very clear and I learned a lot about Krita. 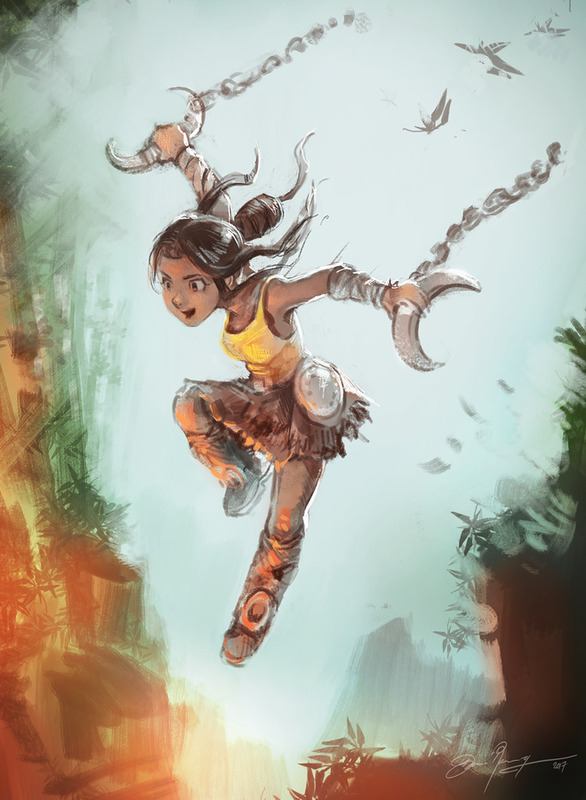 I enjoyed to learn about krita and your own art creation process. Many tips to progress and produce better and professionnal illustrations. Can't wait to see the next episode of Pepper&Carrot. That was a very good experience and I learned a lot with your tips. I didn't believe I could draw this way. I'm excited to see the rest of Pepper&Carrot. David does it all; art, gnu/linux, teaching and the list goes on. Greetings from Los Angeles California U.S! It's great to see Krita getting more attention on universities <3 I hope I can do something like this in the near future at the university I graduated from! I love to se universities getting interested in krita!!! Could you make a mooc out of this course?